In a press release of December 2018, Continental company explaned its project of making safer and smarter the cities around the world with two simple objects: lamps and wearables. intelligent intersections can bring to smart cities. 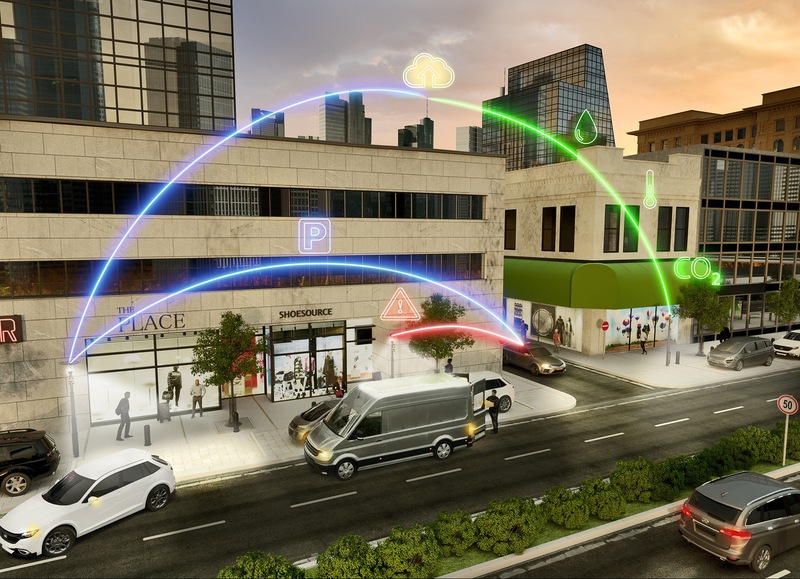 First introduced as a concept at CES 2018, Continental’s Intelligent Intersection is a real-world, end-to-end solution comprising a sensor set, powerful sensor fusion algorithms to generate a comprehensive environmental model and Dedicated Short-Range Communication (DSRC) to transfer valuable information between the intersection and connected vehicles. The solution makes it possible to warn an oncoming driver about a crossing pedestrian outside the driver’s line of sight. Its data can also be used to control signal changes, streamlining traffic and reducing emissions and idling time at intersections. The concept is integral to protecting vulnerable road users (VRUs) such as pedestrians and cyclists and supports drivers in complex intersection traffic scenarios, like preventing left-turning cars from running head-on into traffic that approaches from behind an occlusion. It can also inform drivers turning right about traffic approaching from the left. Additionally, Continental’s Intelligent Intersection enables the collection of information and statistics from intersections – often congested, high-incidence zones – which can then be used for traffic flow, safety and environmental improvements. “Like Continental, Walnut Creek prioritizes safety, efficiency, and accessibility for its road users. 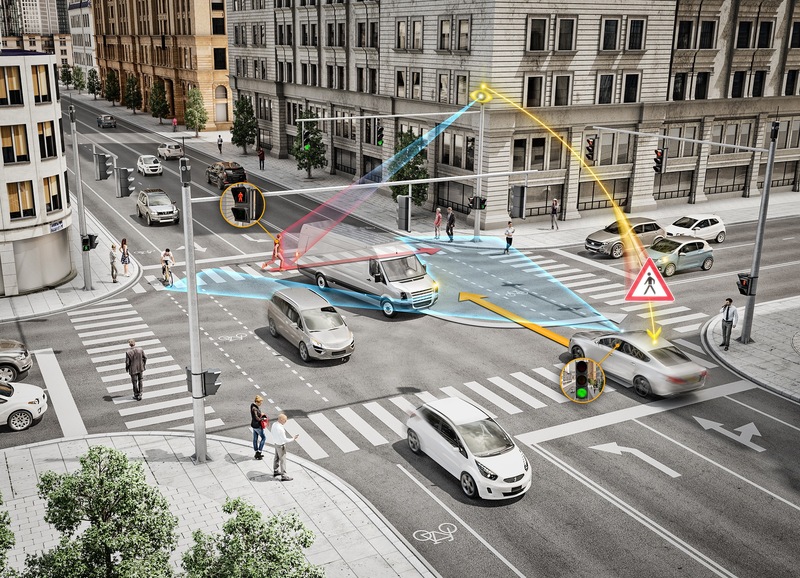 The city has high vehicle and pedestrian traffic, and a longstanding focus on transportation innovation, creating a perfect environment for piloting our Intelligent Intersection technology,” said Jeremy McClain, Director of Systems & Technology, Continental North America. Car sharing is expected to experience sustained growth for the foreseeable future2. In smart cities, electric vehicle sharing is an especially attractive option to reduce noise and environmental pollution. Moreover, it provides an alternative to individual car ownership, reducing the number of cars, congestion and need for parking spaces in cities. 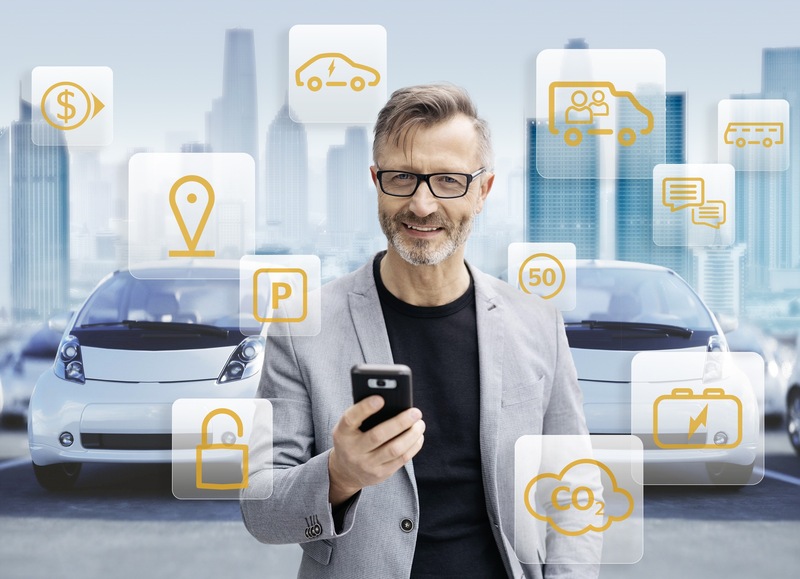 The City Fleet Management solution provides users easy access to shared electric vehicles, optimizing management for the fleet operator and offering excellent usability for end customers. For fleet operators, it reduces the burden of paperwork, physical handover of keys and even the task of vehicle maintenance. The entire process can be completed end-to-end using a mobile app, from booking and granting access to returning the vehicle, from billing and payment to incident reporting. The system optimizes fleet usage for the operator. For example, if a customer needs to travel only a short distance, he / she does not need to waste time waiting for a fully charged vehicle or alternately feeling uncertain about the vehicle having insufficient range to reach the destination, as is sometimes the case today. To optimize fleet usage, the operator can assign the same fleet of vehicles to two different customers with different usage time periods. For example, the same fleet of vehicles can be used by office workers during the day and a security company by night. City Fleet Management ensures proper recording of the fleet usage and if required, invoicing and payment. If recharging the vehicle is necessary during the trip, the customer, can earn an incentive for taking on the task, which is a significant value-add for the fleet operator. During the journey, the vehicle can be tracked and if a critical situation arises, the driver can immediately contact the operator. Continental is already running successful pilots incorporating different elements of City Fleet Management in Asia, U.S. and Europe. Intelligent street lamps are a key element in the development of a safe, clean and smart city. At CES 2019, Continental will present its Intelligent Street Lamp concept. Transferring its automotive competency into the infrastructure of tomorrow’s cities, Continental’s Intelligent Street Lamp simplifies the management of lighting, while monitoring and analyzing environment, traffic and parking information in smart cities. control as well as adaptive street lighting depending on surrounding traffic participants. Furthermore, the new portfolio provides remote maintenance such as over-the-air updates and performance monitoring. These features allow smart cities and operators to save energy and reduce cost by working more efficiently. The Intelligent Street Lamp is also a valuable source of data for future smart cities. 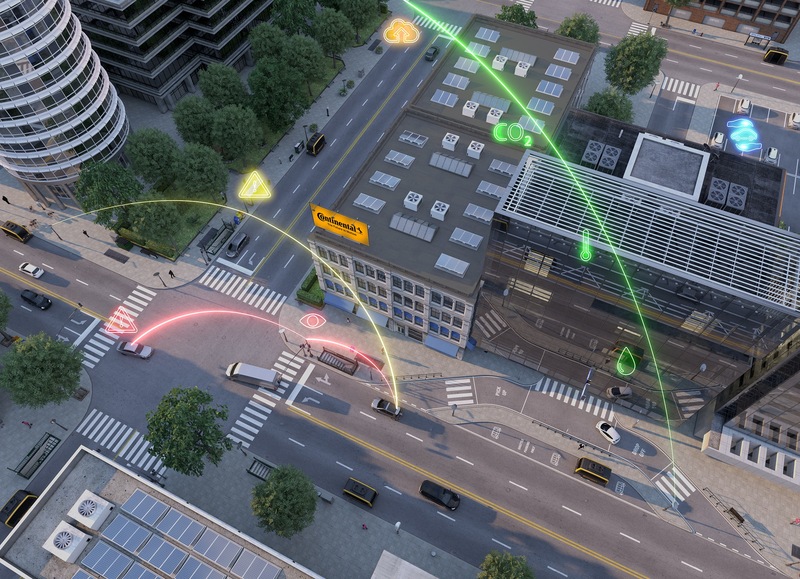 Combining the synergies between the Intelligent Intersection and Intelligent Street Lamp, Continental can increase safety beyond intersections to mid-block areas by detecting critical situations and transferring this information through V2X communication to connected vehicles. Additionally, by identifying free parking space, the solution can reduce congestion and improve overall traffic flow. Finally, by measuring pollution levels like noise and air quality, Continental’s new Intelligent Street Lamp portfolio can improve the quality of life in tomorrow’s cities. 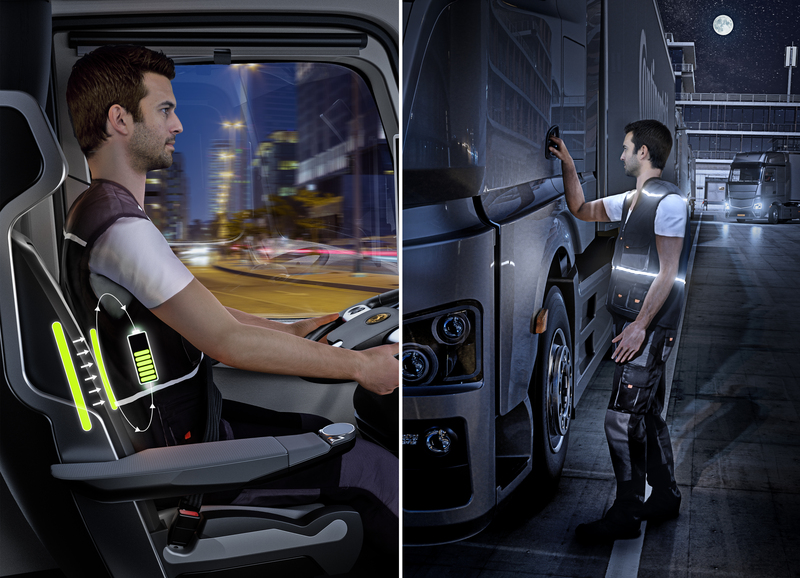 Going beyond infrastructure and mobility in the smart city, Continental is developing solutions to address the needs of city workers with Intelligent Wearables – smart electronics integrated into textiles. Intelligent Wearables can contribute to lower energy consumption in vehicles and increase safety and comfort for drivers. Embedded within battery-powered working jackets, heating pads provide the perfect solution for warmth and efficient energy consumption. To keep the battery small and unobtrusive and to avoid the inconvenience of plugging in for recharging, the jacket is equipped with an inductive charging system that can be charged by the vehicle itself, ensuring the jacket is always ready for use. 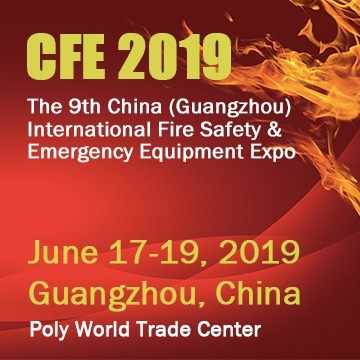 This technology is especially suitable for rescue or construction workers. One of the main occupational hazards these individuals face is being overlooked in traffic. To increase their safety, their jackets can be equipped with active light sources, like LED strips, which ensure visibility even in the most visibly limiting conditions, such as in smoke, bad weather or at night. Intelligent Wearables can open a range of new possibilities in smart cities, and contribute to a safer, more economical and sustainable future. Lamp, Intelligent Crossing, Automated Shuttle, Smart Parking and City Fleet Management. The platform provides access to a pool of common customer services like reservation, payment or routing to different solutions. All information generated as well as used by the solutions are shared through a data hub which meets the highest standards of privacy and security. Further, easy integration of services of third parties can be achieved by appropriate SDKs and open APIs. The platform collects, processes and fuses data from different solutions, thereby creating mobility intelligence, which can be used to develop new and relevant solutions to improve the quality of life in smart cities. For example, the Intelligent Street Lamp can identify an available parking spot, CDaaS then leverages artificial intelligence to predict its availability for Smart Parking. Smart Parking then guides the driver to the right parking spot.